The Manga Rosa bikini is made up of a check pattern print in white, grey and black colours. The top is string around the neck and back. The matching bottoms have anime character on the front and check pattern to the back. The Anime bikini is made up of a pokka dot pattern print in white and black colours. The top is string around the neck and back with hot pink trimming. Embroidered Lace Bikini includes a sliding triangle bikini top which ties behind the neck and back. The top is made from embroidered lace covering a baby pink base fabric. The lace ruffles under the cups. Also included are matching bikini bottoms with ruffles along the top, and decorative bow on the left hip. Silver Spiral Bikini is a bright green halterneck bikini, the bikini top ties to the back and around the neck and has a silver spiral detail between the sliding cups.The matching classic bikini bottoms have two silver spiral details. Luxury Nautical Bikini is a black and white striped bikini , halter neck top with gold string weaved through cups and two embrioded anchors.Matching bottoms with gold belt which adds to its luxurious look. Costa Rica Sun is a fun, wildanimal print swimsuit with a plunging neckline,exposed belly sections and it has padded cups for extra comfort. This reversible swimsuit is designed for women that fit a B/C cup. It features padded cups for extra support and comfort . The center front ring and the halter neck tie create a flattering shape around the chest. 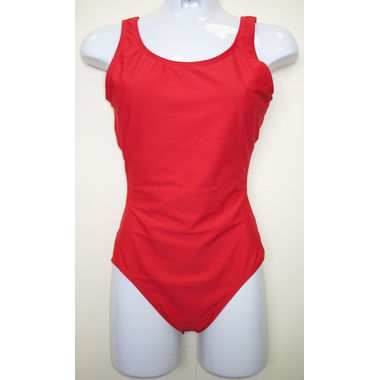 This Reversible Banded Swimsuit is designed for women that fit a D/DD cup, the halter top ties at the neck and under the bust band helping create a very flattering shape and give support required when wearing a swimsuit. Another fantastic bikini from Bondeye. This Black Nip Tuck bikini is a shape enhancing bikini. The top has removable padding and the bottoms have an adjustable waist band so you can achieve the most flattering fit for you. This swimsuit has triangle underwired cups to suit cup size DD/E. The shoulder straps are adjustable in length to help get the best support. Cross Body Swimsuit - black is a classic shape swimsuit with adjustable straps and lightly padded cups for extra support and comfort.The twist in the fabric at the bust line and hips helps create a slimmer and elegant look. Cross Body Swimsuit - Ocean is a classic shape swimsuit with adjustable straps and lightly padded cups for extra support and comfort.The twist in the fabric at the bust line and hips helps create a slimmer and elegant look. Beige Bandeau Bikini is a very classy bikini with bandeau style top that ties behind the neck and back and between the cups is a beautiful ring design with stone details.The bottoms are also finished off with the stone details on each side. Army Green Bandeau Bikini is a very elegant bikini with bandeau style top that ties behind the neck and back and between the cups is a beautiful ring design with stone details.The bottoms are also finished off with the stone details on each side. Nautical Striped Bikini includes a sliding triangle bikini top. It has a navy blue base colour with red and white stripes accented horizontally. Metalic gold squares attach the cup to the tie for around the neck. Matching bikini bottoms are also included. They have the same horizontal stripe design but with a broad blue band at the top with a gold square for extra detail at the right hip. Purple Banded Bikini is a classic halterneck bikini with moulded cups and a thick band underneath which ties to the back and has a silver buckle detail.Matching bottoms also has the thick band with two silver buckles. The Candi Bikini has a shimmer striped adjustable halter top and funky skirt bikini bottoms with rope weave. The Anchors Away Bikini is a red and white striped bandeau top with anchor charm. Another one of our staff favorites, The Banded Bikini is a red and white polka dot bikini with a unique style of banded tie side bottoms.